Looking for a printable version of our specials? and you could win a whole section (15 lb. avg. weight) of NY Strip Steaks or other great prizes! Our weekly newsletter includes information on our weekly specials, helpful tips, recipes and more. 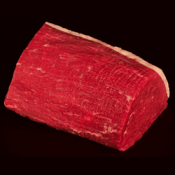 This cut works best with slow and low cooking or cut thin and tenderized. The the preferred cut for pot roast, this roast is perfect for many other applications as well.5-6 lb. average weight. Copyright © 2011. Weiss Brothers, Inc.